Thank you for your generosity in sharing how to give and receive love. May your message reach billions and ignite hearts worldwide. This visioning audio is awesome! Is there anyway I can download it for easy listening the twice daily you recommend without going through all the “clicks” to get there? Very beautiful and feels so good. Arielle, thank you for sharing your love and inspiration so freely with others…I am so thankful to be on your mailing list! I LOVE the Visioning Video. Experiencing those energy spaces made me cry. That was a powerful reminder of where I need to be vibrating to align with Big Love! Thank you so much Arielle for your very generous gifts. 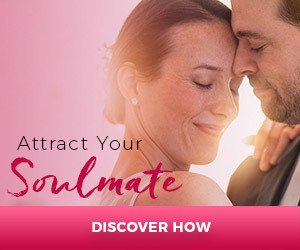 I am committed to using them to manifest my soulmate and I am grateful for your guidance on this amazing journey. A Big thank you to you Arielle to make this possible for me, i share your mails as much as i can to spread your greatfullness and i’am waiting to receive your book . All the best and many blessings . I have enjoyed all the amazing Free Stuff. I’m so overjoyed, unbelieveable! You are amazing at creating love in the world!!! Thank you for your love and generosity in sharing these gifts. Thank You Arielle, for these beautiful meditations to assist us Single Souls in finding our Mates!!! Thank you so much for sharing this with us, it’s greatly appreciated! Thank you Arielle for these lovely gifts. I have just finish ready the book and finishing all the homework to go with it! I adore the book! it made me realize that I actually don’t love myself as much as I should. That is my biggest homework. I have one question for you; during the day I am fine but i find myself lonely when i toss and turn in bed looking to cuddle with someone and no one is there. Or when I get home and wanting the hello, i love you or when i feel like i need to be touched or cuddle or even kiss that is when i find it hard to be on my own. I don’t stop myself from doing anything like travelling or waiting for someone to do it with I just do when I want to. Its those moments that are hard. can you please give me a suggestion on what i should do in those moments? Thank you for the awesome life lesson and I really hope to hear from you soon. Thank you immensely for sharing these meditations so generously with us! I LOVE them. You are an inspiration to me and I am looking forward to learning from all that you have to offer. Thank very much for sharing these gifts.